Design / Research methods: Analysis of product use functions formulated with the application of technical debt and customer perceived value notions, theory review and designation of new theoretic model making possible measuring the effectiveness of new technology use in product designing. Conclusions / findings: The development of a pro-innovative company needs changes in the conceptualization of management processes. This affects not only company growth characteristic but also product strategy modeling and its possible operationalization. Currently, company innovativeness is supported by the application of new technologies – those from the perspective of the company future, requires new market advantage drivers such as customer value and technical debt of new developed products. Its application in company product portfolio configuration process permits not only to develop company innovations development model but also its parameterization, on condition that the product is considered as a sum of its use functions. The proposed approach toward the company new product offer formulation enables the deciders to optimal technology choice realization and thus rationalizing the innovative technology based new product development process. Originality / value of the article: Use function as the base for new product modeling approach thus elaboration and operationalization of new technology based company products portfolio development model with application of G. Moore curve. Implication of the research: The elaborated model may contribute to the formalization of management tools useful for innovation process measures, providing also promising perspectives for the quantification of value creation based approach in company management. Abstract: In recent years, the concept of integrated reporting has been extensively discussed in the literature of the subject. The guidelines worked out by IIRC (International Integrated Reporting Council) – The International <IR> Framework were published in December 2013 as a result of international discussions. However, the question remains whether this guidelines for integrated reporting were necessary. Development of such an approach should be considered if there were no reporting guidelines in place, which had similar features to the integrated report. However, undoubtedly, the Sustainability Reporting guidelines developed and constantly improved by the Global Reporting Initiative (GRI) follow similar functions. In the paper, the authors focus on comparing the integrated reporting guidelines worked out by the IIRC with the GRI Sustainability Reporting Guidelines. In order to demonstrate their features some elements from the integrated and sustainable development reporting practices in Poland are also presented. The analysis showed that both reporting models are overlapping, and the GRI guidelines are even more accurate. Therefore, the integration of GRI G4 Guidelines and IIRC Guidelines into one universal model of integrated reporting is a way forward. Keywords: Integrated Reporting, Sustainable Reporting, Social Reporting, Global Reporting Initiative, International Integrated Reporting Council. JEL: G30, G39, M49, Q01. Aim: Author presents all changes to economic activity trigger, inter alia, social divisions in all cross sections as safety barrier. Growing expansion processes featuring a new development paradigm necessitate a search for better living conditions as well as a demand for high consumption. This mere diktat of the new economy makes the potential of the rich grow continually to the detriment of the poor. It is becoming an essential threat to security of different nature. We may even say that such a situation weakens security. This is confirmed by a growing number of people living on the breadline, the poor and the homeless. Design / Research methods: The publication is a case study based on national economy in Poland. 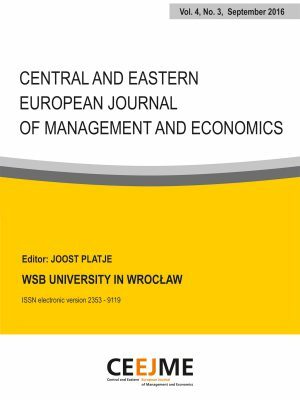 Author uses in this paper statistical methods and comparative analysis between social stratification and economic stratification on region level. Conclusions / findings: The article should be aware that stratification of income in cities resulting from the determinants described above shows that the Polish reality observes a significant and growing process of various intensity as not all areas have prepared sufficient potentials of their own for such dynamic changes. The weakness of public finance and the social policy directly shaping social safety poses an additional threat whose costs are borne by common citizens. It is confirmed by administration disproportions related to a size of the territory, the number of population, unemployment, the condition of the infrastructure, education, a brand of a city (capitals), districts, communes. 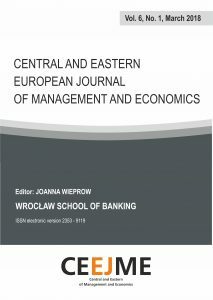 Originality / value of the article: Stratification of income in regions and cities in Poland as safety barrier. Limitations of the research: The work does address the problems of safety barrier in Poland. Aim: The issue of public safety and functioning of the Police institution is taking on a special dimension at the moment as rules of market game pose new challenges for all institutions securing safety and are becoming blurred. As the notion of safety is fluid and blurred we need to consider tasks of all institutions securing this safety to serve the society. This area is currently of interest of not only to the world of practice but of science as well. It is reflected in strategic documents drawn up by various public institutions which have both a legal as well as statutory obligation to secure it. These documents indicate a high level of safety as the most important development goal. Although it a complex issue of multiple aspects perceived as a category shaping the quality of life in a specific social and economic space, it is also becoming a subject of deliberations, considerations and analysis developing forms and ways of securing it. The problem of available and efficient methods and forms used by public institutions allowing all citizens to feel safe is of particular importance. In this article is an attempt to prove that Sir Robert Peel’s Principles (1788-1850 served twice as Prime Minister of the United Kingdom, established Metropolitan Police Force), provide the basis to the idea of community policing. Design / Research: This work is a case study based on the innovation in the police in Poland. In this publication author uses analysis in sphere public safety, internal safety and in all safety system on local level. The article presents a research hypothesis that innovations concerning the functioning of the police in Lower Silesia will be based on the concept of community policing of Sir Robert Peel, thus increasing public safety in this region. Conclusions / findings: The police service securing safety is assuming special importance. The police are in charge of compliance with the law and building the rule of law. Initiatives taken by them to prevent and counteract crime are innovative from the organizational point of view and adequate to occurring threats. Over the recent years, local governments together with the police and inhabitants decide to take preventive measures where their role is to indicate threats, organize thematic meetings and present criminal prevention actions and their effects. Such a strategy allows them to take measures on many levels as neither strict laws nor the most effective actions of enforcement authorities will not manage to improve safety. Activity and cooperation between institutions regarding prevention and counteraction of crime are becoming an element of an everyday market game under these circumstances and the coalition solution implemented enhance useful values of the actions and first of all improve efficiency of all institutions for example through the information exchange. Effects of the work of the services are important as presented in the paper. Originality / value of the research: Innovation in the Police in Poland as factor stabilising public safety. Limitations of the research: This paper does address the problems of public safety in Poland on local level. Keywords: public safety on local level, internal safety, a safety system, police. 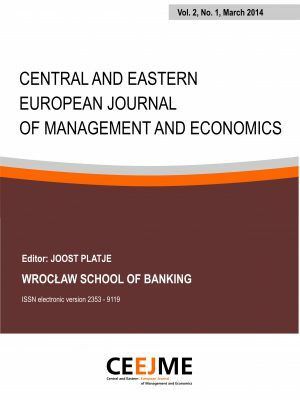 Aim: The main aim of the paper is validation of the OCAI questionnaire with the study providing the framework for estimating psychometric parameters (accuracy, reliability, discriminatory power) and devising standards which will allow for a correct and clear interpretation of scores, thus forming the basis for assessment of the possibilities of using the OCAI in Polish conditions. Research method: In the validation work, the Polish version of Cameron and Quinn’s OCAI questionnaire was used. While selecting the validation sample, a targeted strategy was adopted, whereas in relation to the standardized sample it was partially targeted and incidental. The validity test was performed based on factor analysis and examining correlative relationships between the OCAI scales and the constructs which were to some extent related conceptually. Reliability was estimated using Cronbach’s Alpha. Discriminatory power of the items of scales was calculated by correlating the items with the overall scale scores and by comparing variances of extreme quartile groups. The possibility of standardization was estimated through the K-S test. Findings: The validation study confirmed the conceptual correctness of the construct of Cameron and Quinn’s Competing Values Framework. The structure of the OCAI questionnaire produced on the basis of the Polish research sample is consistent with the assumptions of its creators. The questionnaire has appropriate psychometric properties in terms of accuracy, reliability and discriminatory power. The distributions of the OCAI scale scores do not deviate significantly from the character of the normal distribution, and, depending on the potential user’s preferences, it is possible to apply percentile standards or standard tens. Originality / value of the paper: The tests presented in the paper confirm methodological and conceptual validity of the OCAI tool which is among those tools which are quite frequently used in research on organizational culture. The potential user of this questionnaire can carry out research in the knowledge that the questionnaire has adequate psychometric properties and that it was verified in Polish conditions. The system of standards that was generated makes the scores largely more precise so one can indicate their exact level against a selected population of persons employed in Polish organizations, which in turn produces favorable conditions for drawing correct conclusions as to the relevant recommendations, including their correct formulation. It is also possible to compare the score scales with those produced by other tools with the same system of standards. Implications of the research: The psychometric verification of the OCAI questionnaire produces a range of possibilities for the research centered on the issues surrounding organizational culture because the research draws on the knowledge that it can be conducted employing a tool that was tested and proved useful also in Polish conditions. Members of the contemporary research community want increasingly more often to carry out studies using tools that have been objectively and quantitatively justified. In the long run, the OCAI can be employed to identify causal relationships between the phenomena of organizational culture and the factors that are interdependent with this culture, such as management styles or motivational psychological aspects. Limitations of the research: Although the validation study was conducted with differentiated samples, they did not fulfill the requirement of full representativeness for the entire Polish population, which means that the conclusions drawn by a potential user of the validated version of the OCAI should be marked by a cautious and balanced approach. The validation works on the questionnaire are still preliminary and they will require to be confirmed by further research. The percentile and ten standards generated are temporary and general in their nature. Moreover, the significance of differences has not been explored between the individual subgroups of the research sample and in the future what will be necessary is a statistical verification in the context of creating separate standards depending on such variables as type of work, level or industry within which organization functions. Keywords: Organizational culture; Competing Values Framework; OCAI questionnaire; validation.